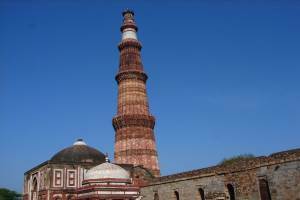 Delhi, the capital of India is a city that offers a glimpse of ancient and modern day India. Its antiquity goes beyond the vision of history. 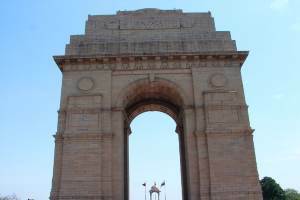 Delhi is the third largest city in India and one of the fastest growing ones in Asia. 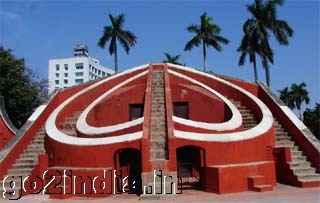 Located on the west bank of river Yamuna, its history traces back to Mahabharata epic where the Pandavas and Kauravas fought battle for the city of Indraprastha around 5000 BC. 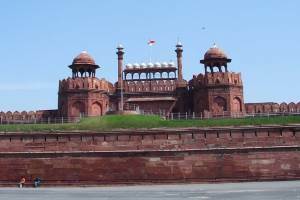 Several empires rose and fell ever since, but the spirit of Delhi remained to this day. Delhi is a city that is rich in culture, always changing with time but never hiding its splendid past. The various ancient ruins seen in the city are silent witnesses to its magnificent history. The city of Delhi is a blend of two different divergent, yet perfectly balanced parts, the Old and the New Delhi. With its intricate streets, elegant mosques, forts, monuments, bazaars that sells a variety of goods that is valued for its age, the Old Delhi speaks volumes about its Mughal past. With its multi-ethnic, multi-cultural population, the city is truly cosmopolitan. 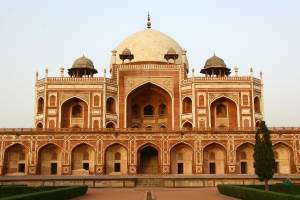 A city with enchanting contradictions and a treasure pot of surprises, Delhi is a tourist's paradise. 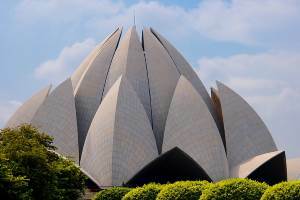 Delhi is conveniently connected by air link with major international and national cities. The Domestic and International Terminals (Indira Gandhi International Airport) are located about 20km from the heart of the city. Metro Link connecting New Delhi station to Airport is operational now. It starts from Dwaraka Sector 21 then stops at Airport Terminal 3 then Delhi Aerocity then Dhaula khan then Shivaji Stadium and last stoppage is New Delhi. From here you need to climb up to reach Delhi metro platform within the same complex. From any other terminal at Delhi Airport you can take a Red color bus ( feeder service ) to reach Terminal 3, you can get down near Aerocity also to board Metro Link ( no need to travel upto Terminal 3 ). Upto Aerocity bus ticket is Rs 25. Airport link train takes 15 minutes to reach Delhi Aerocity from New Delhi station. As it connects to international terminal at T3 so to travel to domestic terminal D1 it is better to get down at Aerocity and take a share taxi, the total taxi cost is Rs 120/- , you can share the amount based on the persons available. It will take 12 to 15 minutes to reach domestic terminal by taxi from Aerocity station. Delhi has rail links with all the major cities in India. 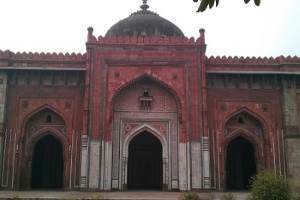 The city has four main railway stations: New Delhi, Old Delhi,Hazrat Nizamuddin and Sarai Rohilla. Trains to Rajasthan starts from Sarai Rohilla station. Nearest Delhi metro station is Sastri Nagar ( in red line Metro ) . If you are coming from other areas or other metros then better to take one pre paid Auto at delhi Connaught place ( same as Metro station Rajiv Chowk). Taxi fare is Rs 60 ( Dec 2011 ) . This railway station is bit old looking and few stalls are there in platforms. Don't expect a high quality restaurant here, you need to manage with locally available testy food stalls available at platform. One of the busiest railway station of New Delhi. This railway station Platform No 1 side is Paharganj and the other side is Ajmeri Gate. From Ajmeri gate side you can get Metro Rail and the Reliance operated Delhi Airport Metro Express Link is available. This Airport Metro connects to Indira Gandhi International Airport. For details regarding reservation call 011-23348787 or visit Indian Railways website. ISBT Kashmere Gate is the bus terminal ( popularly known as ISBT Kashmere gate ) where all bus to neighboring states starts and returns. This bus terminal is one hour drive from airport, this may take bit more time in busy times of the day. Prepaid taxi fare is Rs 252/- from airport. Taxi will drop you at arrival terminal of ISBT Kashmere gate. You can use Delhi Metro rail to reach Kashmere Gate station. There are paid toilets available at ground floor. Counters for the current ticket bookings are available here. There are many shops at ground floor selling eatables and soft drinks. There is a Food court , a separate area with small restaurants serving different types of food. In the first floor enquiry counters of Himachal Road transport corporation ( booth No 40 ) is available. For Uttaranchal road transport it is booth No 39. If you have purchased tickets from the internet from other sources then take the bus number and departure location from here. Himachal Transport bus corporation interstate bus starts from Platform Number 6 but if the platform is not vacant then these buses starts from near the exit gate so check around if you don�t find your bus at the platform. Usually before 30 minutes of the departure time passengers are allowed to board the bus and keep their luggage. Kale Khan is another bus stop located near Nizamudin Railway station. From here buses to Agara, Mathura, Faridabad and to other Uttara Pradesh cities starts. You need to submit one copy of your identity proof to use internet at any browsing center at Delhi. After using internet you need to fill your contact details in a register. 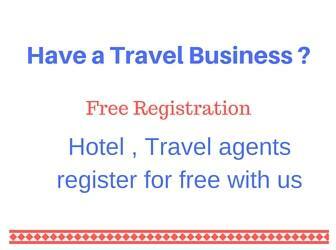 In addition to this you have to write down the websites you have visited. To take a print out of a ticket you have to pay Rs 25. Here Rs 15 is minimum charged for using the internet and Rs 10 for the print out.